Please enter all personalization details for the style option you selected above - first name or last name or date or year etc. 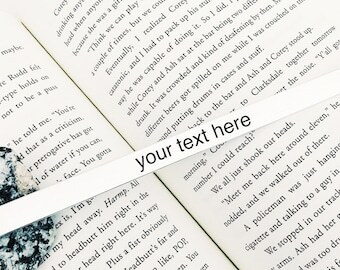 If you would like the bookmark with quote only then type N/A. Don't miss out. There's only 5 available and 18 other people have this in their cart right now. Don't miss out. There's only 1 available, and 18 other people have this in their cart right now. 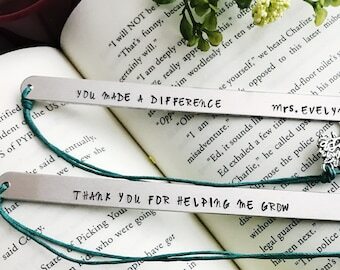 This beautiful, charming custom bookmark makes a perfect retirement gift for a friend, spouse, grandma, grandpa or teachers. 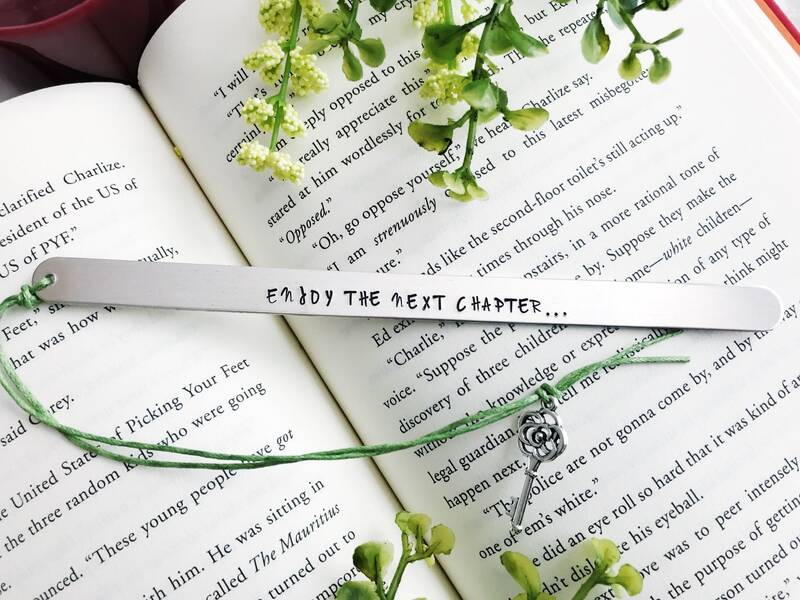 Made of bright tarnish-resistant aluminum, it will speed the avid reader in your life through many books, a great gift for readers and book lovers. Please look at the pictures for examples and personalization details below. 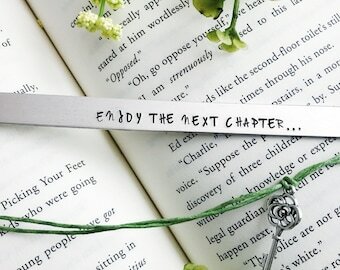 The bookmark is stamped with "ENJOY THE NEXT CHAPTER" quote. 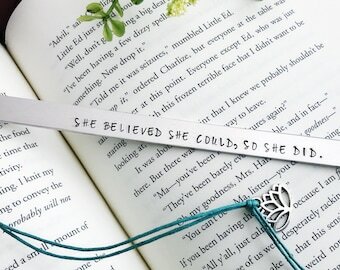 You can personalize it with your choice of charm. Select the option from drop down menu. 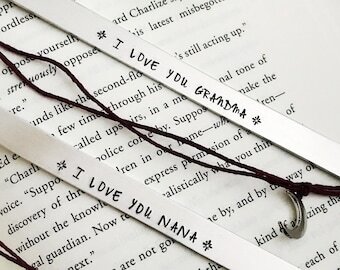 Add a customized date or initials or year on the personalized metal bookmark to commemorate the retirement, birthday, anniversary, or other special occasion. Select from drop down menu. Please note i am unable to stamp anything on the back of the bookmark. 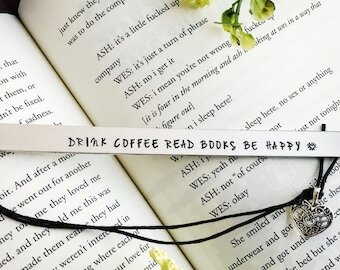 If you would like to have your "custom quote" on the bookmark then please click the below link to create your very own bookmark. "Great gift and thanks also for the awesome customer service!" "Seriously--if there is something you want in this shop, buy it. You will have made a quality purchase and supported a fantastic business owner and artist." "Received quickly, item was packaged with care. Beautiful!" 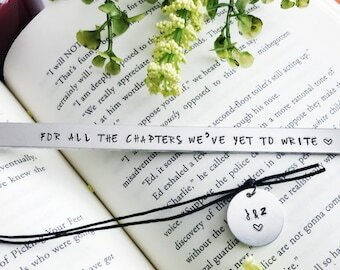 I am so excited to make each and every order. 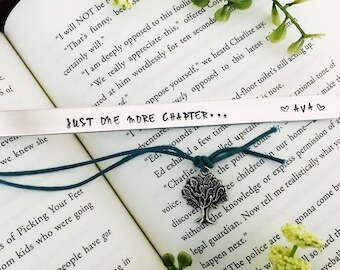 Each piece is hand stamped or handcrafted by me. 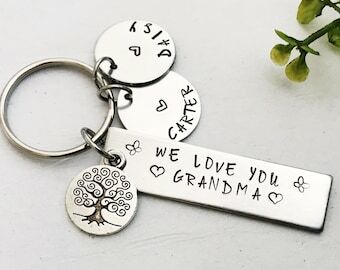 Hand stamping is done by hand and each letter is stamped by hand. This means that no two pieces are ever alike and some letter might not be "perfect." If you're looking for something truly unique, then you've come to the right place! Our bookmarks are perfect for weddings, anniversaries, engagements, birthdays, holidays, and everything in between! 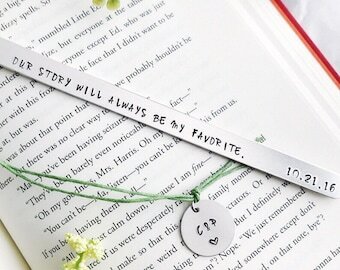 There really is always a reason to show someone you love with a unique, personalized gift! 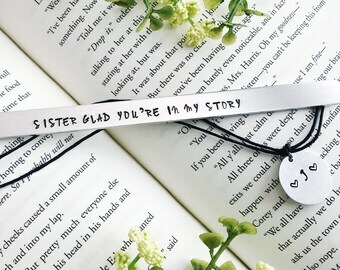 *For single gift box orders. Contact us for multi-gift box options* Your order will come in a box, tied with a jute twine & wrapped in tissue paper. and personal notes from seller were so nice —- a perfect touch and much appreciated! Fabulous! I made error in date. She offered 20% off to send me another one and she did it super quickly!! The quality was great and it came very quickly. 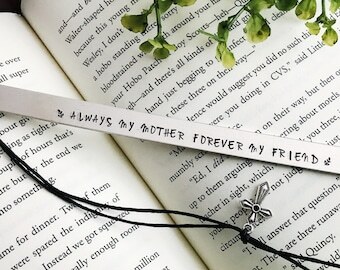 Loved it so much that I will be ordering another for my friend's birthday! I try to ship all my items within 1-3 business days. During busy holiday times (Christmas, Mother's Day, etc. ), this time frame may be longer. Please ensure the address we are shipping to is correct. Labels are automatically generated based on the shipping information in the invoice. I can not be held responsible for items shipped to the wrong address provided by the customer. A tracking number will be provided to you once the order is shipped. We will not be responsible for shipments once they leave my possession. Some of our non personalized items are available for wholesale. Please contact us through Etsy via "Contact Seller" link on a listing. 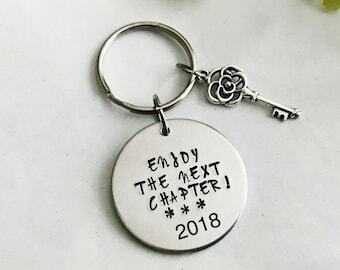 Sale of all custom and Personalized items is Final. No returns or exchanges allowed after the order has been received by us. Please make absolutely sure that you have sent us the correct spelling, variations and choices when you put through your order. Please refer to the listing description for each piece about the size details. 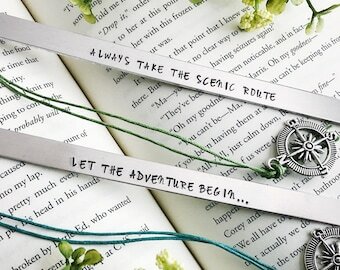 Aluminum, antique silver or stainless steel was used to create your special piece. If you wish to keep your handmade item as received, it can be polished with a treated jewelry cloth or pad. Exposure to water, moisture and body products should be avoided. All pieces arrive individually wrapped in earth friendly kraft jewelry box, tied with twine, and ready for gift giving. Shipping a gift directly to the recipient? 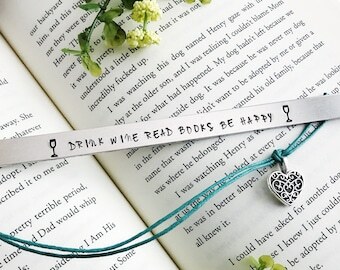 I will be happy to add a handwritten note for you, just leave me your note during checkout! Once I have shipped out the order. I am not responsible for the lost or stolen package. To reship any replacement orders, buyers will be responsible for the reshipping fee.